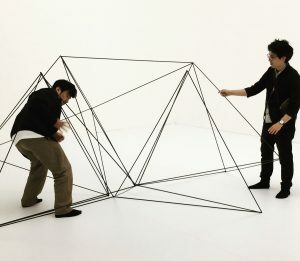 Polytope is a rigid and yet flexible, lightweight structure, designed to engage the visitor in spontaneous choreographies. It’s void but it has volume, rearranging space in a constant dialogue with the visitor. 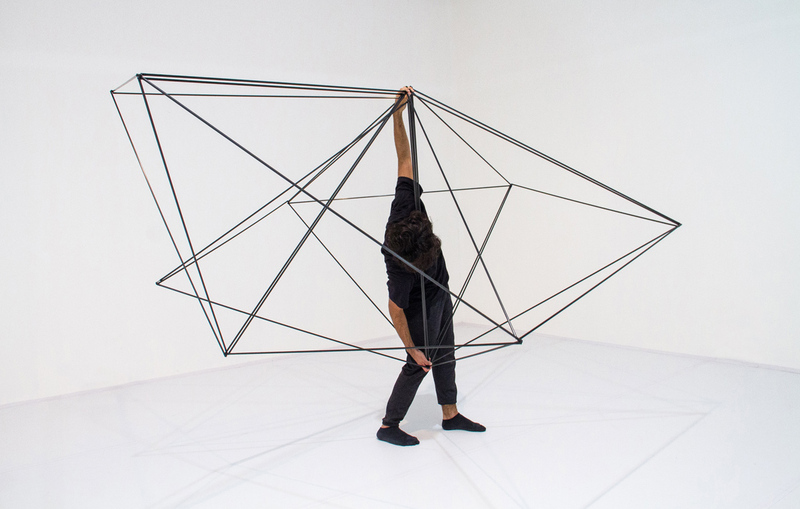 Polytope consists of a multitude of interconnected tetrahedrons, made of carbon fiber rods. Because the material is extremely light, and the geometry articulated, the structure reshapes itself continuously, while the visitor explores it within his or her own references. The work first shown during ‘No Patent Pending’ #17, in Quartair, The Hague, December 8th, 2015. Performed with SonoLab duo (Mei-Yi Lee and Vitaly Medvedev). With thanks to Stroom Den Haag, SonoLab Duo, Henry Vega, Paula Perissinotto/FILE, Rob Bothof.